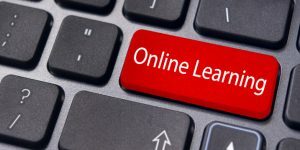 If you have ever considered studying a course through distance learning, it is likely that at some point you have done research into the benefits of this innovative method of studying. You might have even looked at some of the perceived drawbacks of studying online and decided that it’s just not for you. Whether you have checked search engines, forums or even asked your friends, it is important to remember that one person’s bad experience with one potentially bad learning provider doesn’t mean that online learning itself is bad. At Logistics Learning Alliance, we are one of the UK’s leading distance learning providers of Logistics and Supply Chain Courses. 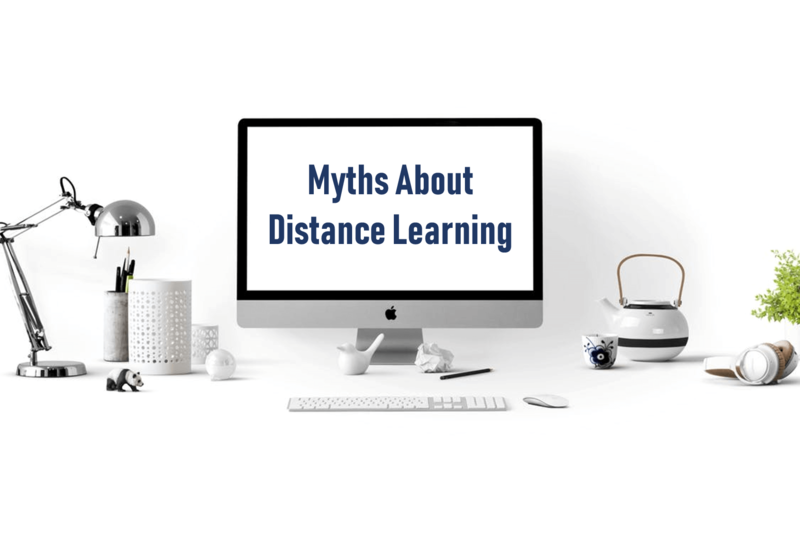 In this blog, we are going to take a closer look at 12 of the most common misconceptions about studying through distance learning – and aim to provide a reasoned response that will hopefully put your concerns at ease! This is one of the most popular concerns. Potential students are often scared that they will be forgotten about when they sign up. It is always best to check with the training provider first to see what level of support you will receive. At LLA, we provide administrative support right from the start of your course and frequently check on your progress and give you a nudge in the right direction if you are struggling! Whether you need IT assistance or more detailed explanations about assignments, we are always on hand to ensure that you are getting the support you need. When you are studying a course online, you want to know that you will be able to speak to your tutor to provide advice and assistance if you are struggling. Tutors should always be available to answer questions from students, and we always have tutors on hand to help you if you need it. If your tutor is out of the office, another one will always be available to help you. At LLA, you can contact our tutors at any time during our working hours (and outside of these hours by prior arrangement) and someone will always be on hand to help you! It is true that you won’t physically meet other students whilst you study – but that doesn’t mean that you can’t interact with others! Some learning providers have forums and Facebook groups where you can interact with others and discuss different ideas. At LLA, we have monitored Facebook groups for all of our Fritz-CILT Humanitarian Certification Programmes where students can interact. The price you pay will depend on the level and the subject matter that you intend to study, as well as whether you want to study a professional qualification (which are always more expensive) or a short course (which are normally cheaper). 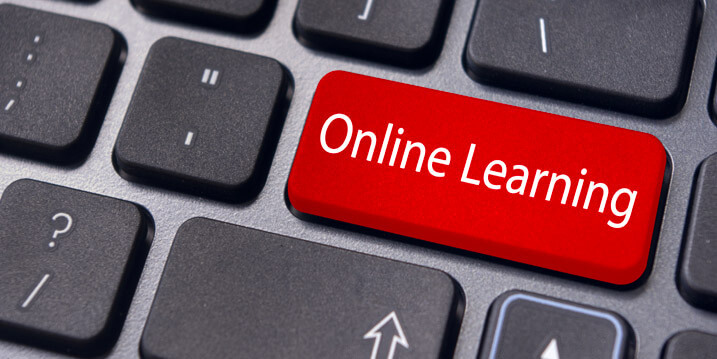 The way you study through distance learning means that you are learning little and often, making it easier to understand and put into practice the skills you learn. The return on investment is often much greater when you have more time to fully develop your skills. And who can really put a price on the life skills and opportunities that further education can provide? This is one where you really need to check with the provider first. Make sure that you have it in writing that there are no additional charges to pay before you sign up. Additional charges sometimes include certificates and additional tutor support but learning providers should always ensure that you know what is included in the price you pay. At LLA, there are no additional charges to pay as long as you complete within your registration period. One of the main benefits of distance learning over other forms of learning is that you can work at your own speed, and that you can fit your studies around your home life. This means that you can control how much time you can dedicate to your course without being subjected to strict timelines. And if you want to complete your course in a quicker timeframe, most learning centres allow you to do this. At LLA, we allow students to work at a speed that is suitable for them. Most training providers set a certain timeframe that you need to complete the course within. This could be anything from a few weeks to a number of years. Therefore, you will need to complete your course within the allotted registration period. At LLA, the registration periods of our courses typically range from 6 months to 3 years and we will provide you with updates when you are approaching your course expiry to ensure that you complete in time. It is always best to speak to the provider first so that you can understand what platform you will be using. Many providers often have a demo that will show you how you will study. Our courses all use an interactive and easy to use case study and the best industry standard learning materials to ensure that you have all of the information you will need to complete. Some people worry that distance learning courses will not provide them with the skills and knowledge they need for their workplace and that employers won’t value the work they have put in. But many of the online courses that are available are designed to be specific for a particular sector. The courses we provide at LLA are specifically for the Logistics and Supply Chain sector and focus on providing a realistic application of the technical and management skills in this environment. This approach is very popular with companies, as they see the value of having employees with the skills that they need for the job they are doing. If you are studying a professional qualification, this means that your certificate will be provided by an Awarding Organisation. This should be a recognised qualification which you can use when applying for jobs. Studying industry recognised qualifications is another option which you should pursue if you want to study in a particular sector. For example, if you want to study in Logistics and Supply Chain, the CILT Level 5 Professional Diploma is an excellent choice as it is recognised by the sector. If you are studying a short course, these are not usually recognised but they can still provide an advantage when applying if you studied with a respected learning provider. Some learning providers also give the option of having their certificate stamped by an awarding organisation, which can add extra kudos to your hard-earned certificate! If you have been studying through online learning, the thought of then having to attend an exam at the end of your course can be daunting! Thankfully, many learning providers deliver the courses through a process called Continuous Assessment. This is the process we use at LLA. In short, this process is a way of assessing you as you proceed through the course rather than having to rely on an exam at the end. This is a much fairer way to assess whether you have met the criteria for the course as it forces the student to show their understanding throughout the course rather than in an examination, which can often be very stressful. 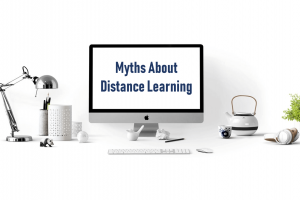 We hope that this blog has helped to answer some of your doubts about distance learning. The ability to study online and at your own speed provides many benefits and can really help your career and personal development. For more information about the courses that Logistics Learning Alliance provides, please visit our website www.logisticslearningalliance.com, email enquiry@logisticslearningalliance.com or call (+44) 01530 276590. If you found this blog helpful, please remember to share and spread the word about the benefits of distance learning!